The Matchmaking Event has been attached as third day to the EHTEL 2018 Symposium. This spinoff workshop is designed primarily for health care managers and all those engaged in modernising their health care system. 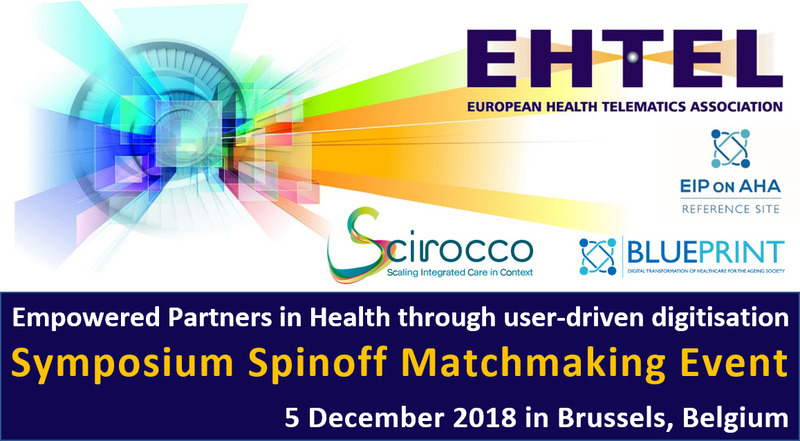 The matchmaking event is organised in close collaboration between EHTEL, the Reference Sites Coordination Network (RSCN) as well as the WE4AHA and SCIROCCO projects. Methodologies developed by these two projects will be leveraged. In a first phase, participants will be invited to review the needs for digital health and care services of the population and will learn about the experiences of managers who have successfully deployed these services in the field. In a second phase, participants will engage in round table conversations with these managers. You will discuss in detail the context and policy elements which have enabled the successful deployment of these services. As a result, participants may identify potential partners for twinning and coaching activities and get the necessary operational support for future twinning activities.